The Philabaum Glassblowing Scholarship is named after glass artist and Sonoran Glass School co-founder Tom Philabaum. This scholarship will be awarded to an individual who has a serious interest in learning the art and craft of furnace glassblowing and who has a financial barrier that prevents him or her from pursuing an education in this glass art medium. 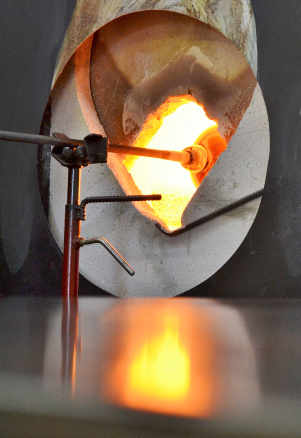 The scholarship funds awarded to the recipient are to be used to take Sonoran Glass School’s most comprehensive semester glassblowing program: Furnace Glassblowing I, also available for credit to Pima Community College students as ART 265. Up to $700 will be funded through this scholarship to the qualifying student or students.